K-12 Coed. Players are divided by grade, not by age. OR until we have reached full capacity for each division, whichever comes first. Team rosters will be limited to a first come first serve basis, and will fill up fast. Therefore, online registration is encouraged. $25.00 sibling discount / $25.00 volunteer coaches rebate. Evaluation is MANDATORY for all registered players. Practices: Each team will get two – one hour practices, before the season starts, another practice mid-season and another practice at the end of the season. However, each team is allowed to practice a maximum of two hours per week. In the past with the nice weather, some teams have practiced outside at some of the local elementary and middle schools. Games: One (1) hour game (between hours of 5pm – 10pm) played on Tuesdays & Fridays at The Gym. Each team will play at least once per week, primarily on Tuesdays, and occasionally a 2nd game on certain Fridays. First game is Tuesday, March 26th. We are in need of volunteer coaches to have a successful league. If interested, please email the Registrar ababall1990@aol.com. ABA reserves the right to change any of the above information as needed for gym space availability. Once the form is completed, please drop off at The Gym (2325 Atascocita Road, Humble, TX 77396). High school basketball rules will apply as published by the National Federation of State High School Associations (NFHS). Every player must play at least 2 quarters. (16 minutes for Div A, 20 minutes for Div 1 – 4 anytime during the game.) Any exceptions must be cleared with the Game Day Coordinator/Board Member and parent(s) prior to game. Violation of this rule may result in forfeiture of game. Tie scores in regulation time are allowed one (1) two minute overtime with stop clock. In tournament play, extra periods will be three (3) minutes in length. Running clock except for the last two minutes of the game and any over time periods unless of a 15 point lead. *Clock will be stopped during the last two minutes of the game for foul shots and out of bounds. Clock starts when a player touches the ball on the in-bound throw. *Time can also be stopped for an injury or at the discretion of the referees or game coordinator. Div A & I players may step over the foul line after shooting foul shot. Allow one hour for each game as follows:*50-minute game activities*Division A: 4 – eight minute quarters and a two minute quarter for extra periods*Divs 1 – 4: 4-ten minute quarters and a two-minute quarter for extra periods. *Fourth quarter will take 15 minutes to play to allow for clock stopping during the final two minutes of play. *2 thirty-second time outs per team per half and one time-out during each extra period. Time-outs do not carry over to the second half or overtime period. Each team has one one-minute time-out during an extra period. *2 one-minute quarter breaks and a three-minute break at half*A maximum 5-10 minutes for team warm-up. Only the coach and maximum of 2 assistant coaches may sit with their team during games. The assistant must be seated or facing the bench players. Only one coach is permitted to stand and coach the team on court. Violation will result in a warning to the coach followed by a technical foul against the coach for continued violations. Player “Trash talking” and other unsportsmanlike conduct, which includes flagrant fouls and taunting, will not be tolerated. The game officials have been instructed to put an immediate stop to it. First offense will result in warning and additional violations will result in player technical fouls and/or ejection. In addition, spectators in the stands who are behaving badly may be assessed a technical foul as well and ejected from the game after one warning from the referee. Any spectator who jumps out onto the court for any reason other than an injury to a player, will automatically be assessed a technical foul and ejected from the game at the discretion of the referee. Any person (spectator, coach, player, parent, etc…) that is ejected is required to immediately vacate the gym. Game forfeiture: Scheduled game time is forfeiture time. If team is not ready to play at scheduled time, their game will be forfeited. Division A & I will use 28.5 youth (or women’s) ball. Player will wear their shirts inside their shorts throughout the game. Shorts will be worn at the waist and will not “sag”. Coaches are required to stay in the “coach’s box”. The coach’s box will be outlined prior to the start of the first game of the day. Violation will be an initial warning followed by a technical foul against the coach for any continued violation. Unsportsmanlike conduct from a coach, spectator or player will result in a technical foul against the coach or player. See Rule #10. Severe violations are subject to Board review and additional penalties may be imposed, i.e. suspension and/or banishment, as deemed necessary. Special Division A Rule: Teams may not press in the backcourt at any time. 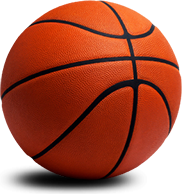 Coaches are given two warnings before a technical foul (two free throws and possession of the ball at mid court) is assessed for each ensuring violation. No warning will be given during the last minute of a quarter. Special Division A Rule Each player will be allowed a free throw at the start of the game. These points will be part of the total score. Free throw will be from the 10′ free throw line. Each team will shoot the maximum number of free throws as the number of opposing players. For example, if one team has eight players and one team has six players, the team with six players will shoot two extra free throws. The team member(s) shooting the free throws will be a player(s) that has not made a free throw at the start of the game. The intent is for each player to have an opportunity to score a point. Special Division A Rule Lane violation will be 5 seconds. Special Division A Rule During the regular season, every player must sit out a minimum of eight (8) minutes a game. For the regular season game where a team has only six (6) available players, each player must sit out a minimum of four (4) minutes. In the playoffs, each player must sit out a minimum of four (4) minutes per game. Special Division 1 Rule: Teams may not press in the backcourt until the 4th quarter, and overtime as applicable. A team technical foul (two free throws and possession of the ball at mid court) will be assessed to the pressing team after the first warning to the pressing team. After the third team technical foul, the coach will be assessed a technical foul. See Rule # 17. Three point shots are not counted in Division 1.